You know when you come across a piece that you add to your wardrobe that just fits perfectly in all of the right places? You put it on and you can even see your attitude and confidence change a little. Well that's what this dress did for me. I am loving this floral print bow front dress from eShakti.com. This light weight material and fun floral print makes this dress a great transition piece from summer to fall. The four front bows and detailed cut outs add a little sass to this fun flirty dress while the fit and flare cut keeps it feminine. This dress also has side pockets that makes for a good time, it fit me perfectly, and showed just enough cleavage yet still keeping it classy. I also felt the colors of the dress really complimented my complexion. One of the reasons why I love this dress so much is because I felt like it was made specifically for me. 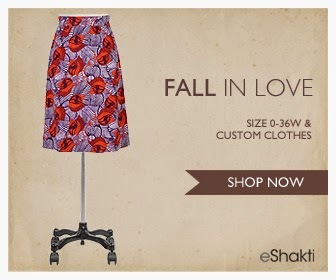 From start to finish eShakti.com was great to work with. They allowed me the freedom to customize my dress with both style and fit. I really felt that all of their options cater to women of all sizes and allow each customer the opportunity to find that special fit just for them. What an adorable dress, you look fabulous! I have heard such great things about eShakti!